Lake County has a population of just under 500,000 people. The sheriff's Department is primarily responsible for patrolling the unincorporated areas, as well as small towns with part time or no police protection. The patrol division consists of 70 Officers who patrol Lake County 24 hours a day 7 days a week. These dedicated officers spend weekends and holidays away from their families protecting the citizens of Lake County with professionalism and expertise at an unparalleled standard. These officers are responsible for responding to calls for service consisting of crimes in progress, domestic disturbances, and after the fact police reports as called on by the citizenry. They are also responsible for maintaining traffic control and to handle numerous traffic collisions that take place on the many roads and highways throughout the county. The patrol officers are also called upon by many of the local police agencies to assist with manpower, backup, and many times to handle calls for other local agencies as well as the Indiana State Police. Patrol also maintains K9 units that are on each shift to assist Lake County officers as well as other agencies throughout the county with K9 support when needed. Along with the K9 units patrol maintains a Helicopter Unit and Marine Unit that patrol the sky and the shore of Lake Michigan. These units are also available 24 hours a day to assist citizens and other police agencies as need. The Sheriff and his patrol division are dedicated to protecting all citizens of Lake County by working with local police agencies in anyway that our agency is able to provide support. The Traffic Unit consists of 5 Officers who are responsible for saturation patrols at different times in areas where it is deemed that additional traffic enforcement is necessary. These officers are also tasked with day to day patrols throughout the county. Traffic also has accident re-constructionists who are tasked with handling crashes that involve serious bodily injury of death. These officers have specialized training and equipment that allow them to better determine the cause of a crash. The re-constructionists assist many of the local agencies who do not have officers with this training. Traffic officers are also often called upon by the local police agencies to investigate crashes involving police vehicles. All members of the K9 Unit take their partner home as part of there family, where they take care of their partner on a daily basis. 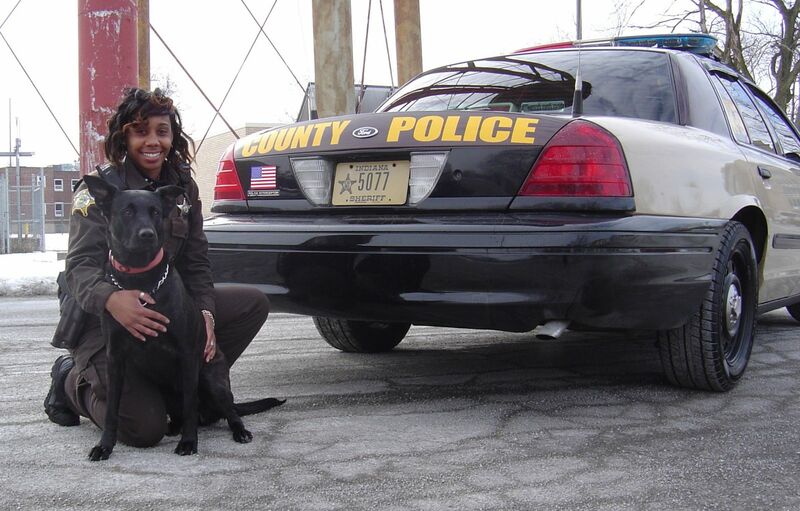 The actual K9's of the Lake County Sheriff's Department are considered Police Officers just like the their human partner.